ROCKVILLE, Md. (December 18, 2017) – Choice Hotels International (NYSE: CHH), one of the world’s largest hotel companies, today announced that it has reached a definitive agreement to acquire the brand and franchise business of WoodSpring SuitesSM from WoodSpring Hotels Holdings LLC, a portfolio company of Lindsay Goldberg, for approximately $231 million, subject to customary adjustments. The acquisition will add nearly 240 extended-stay hotels in 35 states to the Choice Hotels portfolio, creating an extended-stay portfolio of more than 350 properties with existing brands, MainStay Suites™ and Suburban Extended Stay™. Choice Hotels International, Inc. (NYSE: CHH) is one of the world's largest hotel companies. With over 6,500 hotels franchised in more than 40 countries and territories, Choice Hotels International represents more than 500,000 rooms around the globe. As of September 30, 2017, over 800 hotels were in our development pipeline. Our company's Ascend Hotel Collection®, Cambria® Hotels, Comfort Inn®, Comfort Suites®, Sleep Inn®, Quality®, Clarion®, MainStay Suites®, Suburban Extended Stay Hotel®, Econo Lodge®, Rodeway Inn®, and Vacation Rentals by Choice Hotels™ brands provide a spectrum of lodging choices to meet guests' needs. With more than 33 million members, our Choice Privileges® rewards program enhances every trip a guest takes, with benefits ranging from instant, every day rewards to exceptional experiences, starting right when they join. All hotels and vacation rentals are independently owned and operated. Visit us at www.choicehotels.com for more information. 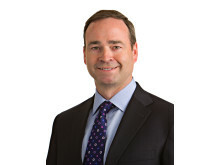 Certain matters discussed in this press release constitute forward-looking statements within the meaning of the Private Securities Litigation Reform Act of 1995. Generally, our use of words such as “expect,” “estimate,” “believe,” “anticipate,” “should,” “will,” “forecast,” “plan,” “project,” “assume” or similar words of futurity identify such forward-looking statements. These forward-looking statements are based on management's current beliefs, assumptions and expectations regarding future events, which in turn are based on information currently available to management. Such statements may relate to projections of the company’s revenue, earnings and other financial and operational measures, company debt levels, ability to repay outstanding indebtedness, payment of dividends, repurchases of common stock and future operations, among other matters. We caution you not to place undue reliance on any such forward-looking statements. Forward-looking statements do not guarantee future performance and involve known and unknown risks, uncertainties and other factors. Several factors could cause actual results, performance or achievements of the company to differ materially from those expressed in or contemplated by the forward-looking statements. 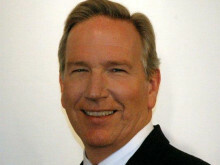 Such risks include, but are not limited to, changes to general, domestic and foreign economic conditions; foreign currency fluctuations; operating risks common in the lodging and franchising industries; changes to the desirability of our brands as viewed by hotel operators and customers; changes to the terms or termination of our contracts with franchisees; our ability to keep pace with improvements in technology utilized for marketing and reservations systems and other operating systems; our ability to grow our franchise system; exposure to risks related to our hotel development and financing activities; fluctuations in the supply and demand for hotels rooms; our ability to realize anticipated benefits from acquired businesses; the level of acceptance of alternative growth strategies we may implement; operating risks associated with our international operations; the outcome of litigation; and our ability to manage our indebtedness. These and other risk factors are discussed in detail in the company's filings with the Securities and Exchange Commission including our annual report on Form 10-K for 2016 and our quarterly reports filed on Form 10-Q. Except as may be required by law, we undertake no obligation to publicly update or revise any forward-looking statement, whether as a result of new information, future events or otherwise. Choice Hotels International, Inc. (NYSE: CHH) is one of the world's largest lodging companies. With more than 6,500 hotels franchised in more than 40 countries and territories, Choice Hotels International represents more than 500,000 rooms around the globe. As of September 30, 2017, 800 hotels were in our development pipeline. Our company's Ascend Hotel Collection™, Cambria™ hotels & suites, Comfort Inn™, Comfort Suites™, Sleep Inn™, Quality™, Clarion™, MainStay Suites™, Suburban Extended Stay Hotel™, Econo Lodge™, Rodeway Inn™, and Vacation Rentals by Choice Hotels™ brands provide a spectrum of lodging choices to meet guests' needs. With more than 34 million members and counting, our Choice Privileges™ rewards program enhances every trip a guest takes, with benefits ranging from instant, every day rewards to exceptional experiences, starting right when they join. All hotels and vacation rentals are independently owned and operated. Visit us at www.ChoiceHotels.com for more information. The winners were selected by reviewing each franchised property's guest satisfaction scores, operational superiority and by demonstrating consistent brand performance. "These deserving winners go that extra mile to make our guests feel at home and highlight the property's commitment to exceptional customer service and operational excellence," said Mark Pearce, senior vice president, international division, for Choice Hotels. 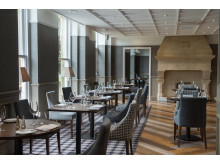 Malone Lodge, An Ascend Hotel Collection Member, was awarded “European Newcomer Hotel of the Year.” Joining Choice’s hotel portfolio in June 2017 this Belfast property is located inside a chic Victorian town-house, only minutes away from the Ulster Museum, the Botanic Gardens and the city center. The rooms and apartments offered are all carefully designed to offer a combination of space, comfort and modern technology, within a luxurious décor. Choice Hotels Europe has also awarded “European General Manager of the Year” to Fanny Gaucher of the Quality Hotel Bordeaux Centre in France. General Manager award winners are selected from nominations by their direct supervisors and owners at the franchised hotels, in response to specific questions relating to their work and collaboration with the Choice Hotels team and brands. The Choice Hotels Europe portfolio of franchised hotels offers business and leisure travellers a full spectrum from premium economy to upscale hotels. 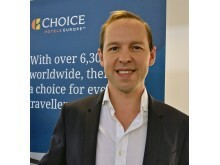 Choice Hotels Europe franchises almost 400 hotels across Europe that are either open or under development. Brands franchised by Choice Hotels Europe include Clarion, which is three to four star rated, Quality, which is three-star rated and provides a mid-scale full service offering, and Comfort, which is two to three star rated and is the largest Choice Hotels International brand worldwide, known for value, customer service and reliability. Choice also provides guests with an upscale, boutique hotel offering through Ascend Hotel Collection, a portfolio of 4-5 star rated independent hotels located in key cities and destinations. Visiting the #Azores for the first time? With more than 400 hotels in 19 countries across Europe, Choice Hotels Europe™ helps travellers discover and explore new places. Choice Hotels Europe™ is a part of Choice Hotels International, Inc™ (NYSE:CHH), one of the world’s largest and most successful lodging companies. With more than 7,000 hotels franchised in more than 40 countries and territories, we represent more than 570,000 rooms around the globe. Our four distinct hotel brands in Europe provide a spectrum of lodging choices to meet our guests’ needs. Ascend Hotel Collection™ member hotels offer a unique and upscale experience that allows guests to connect with the local flavour of a destination in an entirely new way. Clarion™ properties combine first class service with exceptional facilities and attention to detail. Quality™, the name that has been trusted throughout the years, offers guests a memorable experience through hotels with full service and superior facilities. 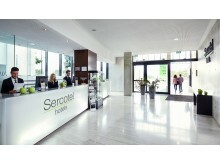 Comfort™ hotels are widely represented and offer the ideal mix of value and reliability. 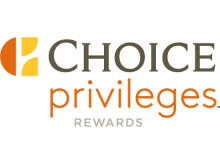 With more than 40 million global members and counting, Choice Privileges™ rewards programme allows guests to reap the benefits of being a member of the Choice Hotels™ family.